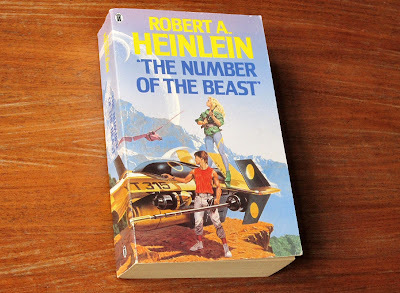 Over the years I’ve read a dozen or so books by Robert A. Heinlein, including novels and short story collections, but I wouldn’t count myself as a Heinlein fan. And The Number of the Beast – a huge, 556-page novel he wrote when he was over 70 – is really a book for die-hard fans only. It’s got a reputation as a dull and slow-moving novel, overloaded with Heinlein in-jokes and self-references. On the other hand, its basic premise is pretty fascinating – so I picked up a second-hand copy for a couple of pounds when I saw it in a bookshop earlier this year. I just got round to reading it – and while I can’t pretend it was an enjoyable experience, it was thought-provoking enough to be worth a blog post (plus I can’t think of anything else to write about this week). The idea of “the number of the beast” – 6 6 6 – comes from the Book of Revelation. It’s one of the few things in the Bible that even non-Christians (and Satanists, for that matter) agree is quite cool. It’s normally rendered as “six hundred and sixty-six”, but in Heinlein’s novel it’s “six to the power of six to the power of six”. Written like that it’s mathematically ambiguous. 66 is 46656, but there’s a big difference between 466566 and 646656. Heinlein makes it clear that he means the first of these, which he multiplies out as 10,314,424,798,490,535,546,171,949,056. That may look like a big number, but the second number is MUCH bigger. It starts with 223,872 followed by another 36,300 digits. I guess the reason Heinlein didn’t go for that one is because it would have taken at least 20 pages to write out in full! In the novel, the significance of 6^6^6 comes from a six-dimensional theory of space-time developed by one of the four main protagonists. It’s supposedly the number of different universes “possibly accessible to us either by rotation or translation”. That’s pure technobabble, of course, but it’s an excellent starting premise for a science fiction novel. Unfortunately, however, Heinlein’s narrative doesn’t go the way most SF readers would expect it to. That much was science – now for the philosophy. I like playing with words just as much as I like playing with numbers – especially if they’re really big words. There are three lovely big words on the back cover of the book – “Multiperson Pantheistic Solipsism” (that’s one of the reasons I had to buy it). Solipsism is the philosophical theory that the human mind creates its own reality. Pantheism, strictly speaking, is the theological belief that God is all-pervasive throughout the universe. But coupled with solipsism I guess you could substitute “the human mind” for “God”. The third big word, multiperson, is self-explanatory – the relevance here being that the book has four protagonists who are very much in tune with each other. Putting it all together, “Multiperson Pantheistic Solipsism” means that a whole universe can be created as a mental projection by a group of like-minded people. This still sounds like a good idea – although closer to fantasy than science fiction – but again Heinlein doesn’t handle it the way most people would expect. I’d read in several places that the “universes” the characters create are based on pulp fiction, which immediately creates certain expectations in the reader’s mind. Even Wikipedia says “The novel lies somewhere between parody and homage in its deliberate use of the style of the 1930s pulp novels”. Having read the book I have to say that’s just plain wrong. At its peak in the 1930s and 40s, pulp fiction encompassed a whole range of genres. The most popular of these were hardboiled crime (as typified by Black Mask magazine), supernatural fantasy (typified by Weird Tales), the “hero” pulps (e.g. The Shadow and Doc Savage) and the nascent genre of science fiction (pioneered by Amazing Stories, followed by various similarly titled magazines such as Astounding). Near the start of The Number of the Beast, the protagonists do get into a brief discussion of pulp magazines – including Weird Tales, The Shadow, Black Mask and Astounding. But that’s pretty much it. When they start visiting “fictional” universes, only one of them has its roots in a pulp magazine. That’s a fairly brief episode involving E. E. “Doc” Smith’s Lensman characters, who originally appeared in the pages of Astounding. As for tough-talking private eyes like Race Williams or Dan Turner, Robert E. Howard’s Conan of Cimmeria, Doc Savage and his trusty aides... there’s no sign of any of them. The fact is, regardless of what Wikipedia says, The Number of the Beast isn’t even close to being a parody of 1930s pulp fiction. Instead, the dominant thread running through the fictional universes is children’s literature – classic books like The Wizard of Oz, Alice in Wonderland, Princess of Mars and Gulliver’s Travels. They may not be pulp fiction, but these books are still essentially escapist adventures, with some very basic tropes in common. First and foremost is the idea of conflict. Typically this means protagonists versus villain – either the protagonists are desperately trying to stop the villain doing something bad, or the villain is trying to prevent them doing something good. Even if the story doesn’t have a human villain, it needs an impending natural disaster or other impersonal force to provide the same impetus and sense of urgency. The protagonists shouldn’t have time to catch their breath, let alone do any of the trivial little things you and I spend most of the day doing. If there’s a romantic subplot, then its course can’t be allowed to run smooth. That bit about living happily ever after comes at the end of the story, not the beginning. Heinlein turns all of that on its head. If you think about it, in a universe governed by Multiperson Pantheistic Solipsism, he pretty much has to. I mean, if you created a universe out of pure thought, you’d give yourself an easy time too, wouldn’t you? 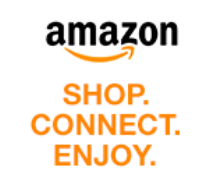 Consequently the book is devoid of any sense of urgency. It’s the only novel I’ve read where the protagonists spend most of their time cleaning their teeth, taking a bath, deciding what to wear, eating breakfast, getting a good night’s sleep... and having long conversations in which everyone agrees with everyone else. They carefully plan what they’re going to do next, then do it in their own sweet time. On the rare occasions they come across anything resembling an obstacle or hindrance, they deal with it in half a page, then get back to eating, sleeping and agreeing with each other. Once upon a time, I dreamt I was a butterfly, fluttering hither and thither... conscious only of my happiness as a butterfly, unaware that I was Chou. Soon I awaked, and there I was, veritably myself again. Now I do not know whether I was then a man dreaming I was a butterfly, or whether I am now a butterfly, dreaming I am a man. I can't stand Heinlein personally, but this is a great book for encouraging beginning writers with. Tell them that everybody has a certain number of really lousy pages in them that must be written. You can write them all at the beginning of your career, when no one sees them, or at the end, when everyone will. Give them this as proof, and tell them to get back to their crappy drafts and get those lousy pages out of the way before they write the good ones. BTW, google Hevelin Collection. You'll be glad you did. You're right, Peni - I am. I'd never heard of it before but it looks great. Another challenge for new readers would be to give them the premise of Heinlein's novel (or the premise as I interpreted it in this blog post) - i.e. that the protagonists can choose to live in any universe they like, real or fictional, and make it as cozy and unhostile and laid back as they like... and then find a way to turn it into a really gripping and exciting story for the reader!